Florida-based industry leader and go-to software company for gyms, dojos, clubs and fitness studios excited to showcase intuitive 24/7 door access control system at premier educational event for fitness pros. Clearwater, FL – September 5, 2018 – RhinoFit Gym Management (RhinoFit.ca), a Florida-based industry leader and go-to software company for gyms, dojos, clubs and fitness studios, has announced its plans to attend and exhibit at the 2018 Athletic Business (AB) Show in New Orleans at the Ernest N. Morial Convention Center. The 2018 AB Show is scheduled to take place November 7 to 10, with a pre-conference on November 7 and the full conference running from November 8 to 10. RhinoFit representatives say the company will be showcasing its highly-intuitive and well-received 24/7 gym access control system at the 2018 AB Show, citing the system’s ability to increase a gym facility’s revenue while enhancing member relations without large overhead costs or additional staff. 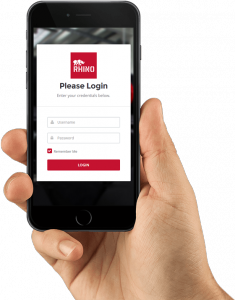 The 24/7 door access control system as offered by RhinoFit integrates with a gym facility’s active membership database to grant access to up-to-date paid members and staff via key tags or the RhinoFit software. The Access Tracking feature embedded within an account keeps an active log of all member entries, while a RhinoFit Comport Kiosk, as a Chrome application, authenticates users and sends an open command to a connected turnstile or door; the system only sends an open command once a user is validated (i.e. current membership has been paid) for entry. Further, the door access control system comes assembled with a 12V1A power supply and an appropriate door strike, which can be modified by using a different door strike that would work with a 12V1A power source. As such, pre-existing installations may be supported, with an attached scanner that can be used as a USB output Keyboard Wedge. The 2018 Athletic Business Show will provide attendees an opportunity to learn the latest athletic, fitness and recreational trends from more than 130 educational sessions and to explore hundreds of exhibitor booths, offering everything an athletic facility needs to outfit its programs – regardless of how large or small. From the most innovative products and latest industry advancements to the basic essentials needed for day-to-day operations, the Athletic Business Show hosts more than 250 leading manufacturers delivering fresh and relevant content. For more information about the 2018 Athletic Business Show visit www.ABShow.com. RhinoFit Gym Management is located at 2753 State Road 580 Suite 212 in Clearwater and can be reached by calling (866) 858-0304. For more information visit www.RhinoFit.ca or email info@RhinoFit.ca.